Are you a dedicated angler? The one that continuously seeks perfection and solutions? Are you always asking questions about how to take your fishing passion to the next level? Well, I know I am one of those people! In many of my written articles, I´ve been sharing stories about exciting catches and my personal view on different kinds of baits. In this piece I want you to follow me down the road of hooks! It may be technical, and it may be heavy. 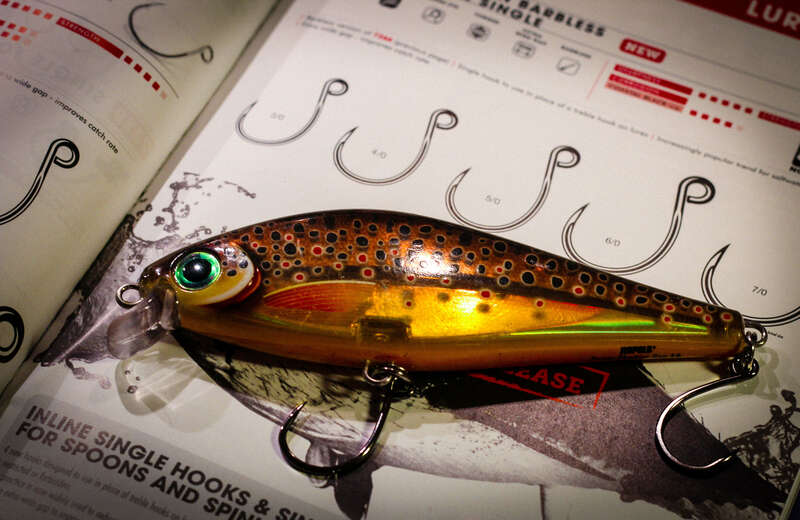 BUT it will certainly give you a good knowledge, and a chance to build up confidence to try out new ways of rigging your lures and baits. And in that way, also increase the amount of fish you hook! For several years, I’ve been testing my way through the jungle of brands and different types of hooks. I landed on VMC and their collection, which is a well-sorted arrangement of hooks for all purposes. I won’t get in too deep explaining all the technical terms of the VMC hook collection. To make a long story: I need my hooks to be reliable and of the highest quality. No exceptions. Quality hooks don’t break, and they stay super sharp. That is why I put my trust in VMC hooks. I know what I get. In most of my fishing, I’ve been using a various range of treble hooks. 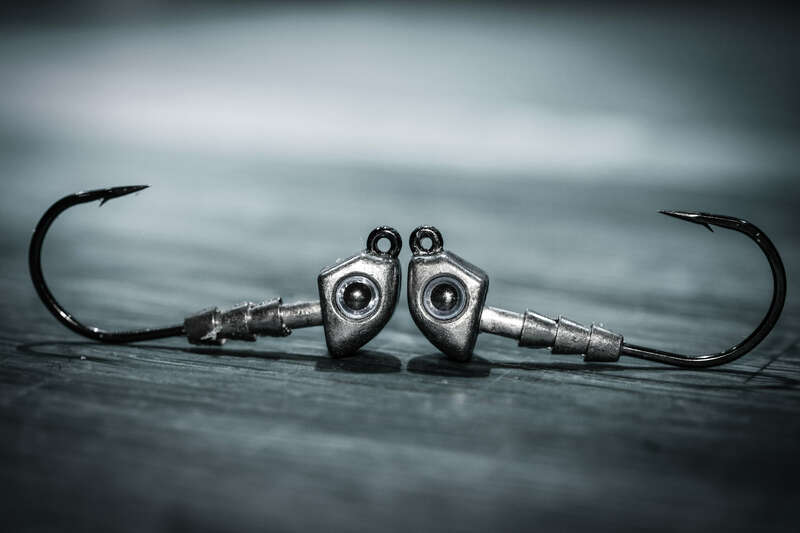 They are the most common hooks that are mounted on a lot of the predator lures in our local tackle shops. For example, on the X-Rap® Peto the VMC® Coastal Black Treble Hooks are used. In my opinion, that is a great hook for that lure. But is there a time when you could switch a treble to a single hook? And if so, why? Yes, definitely! Fishing as a hobby or a full-time job is becoming even more common. Predator competitions are popping up all over the world and the pressure on the water is increasing on all fronts. Occasionally, I’m fishing a location where the fish are very active and tend to inhale the lures or baits. Those times, there is an advantage in using a single hook! Firstly, you will find it less complicated to handle the fish and get your hooks out with no bigger worries. Spare the fish and avoid bigger injuries (for example, messed-up gills). Secondly, using single hooks will also speed up the release process. Removing hooks will be a lot faster. When I fish for smaller predators such as the Swedish perch or smaller zander, I like to use the Storm 360GT Coastal Jig Head. It is my first choice for a single ball head jig hook. 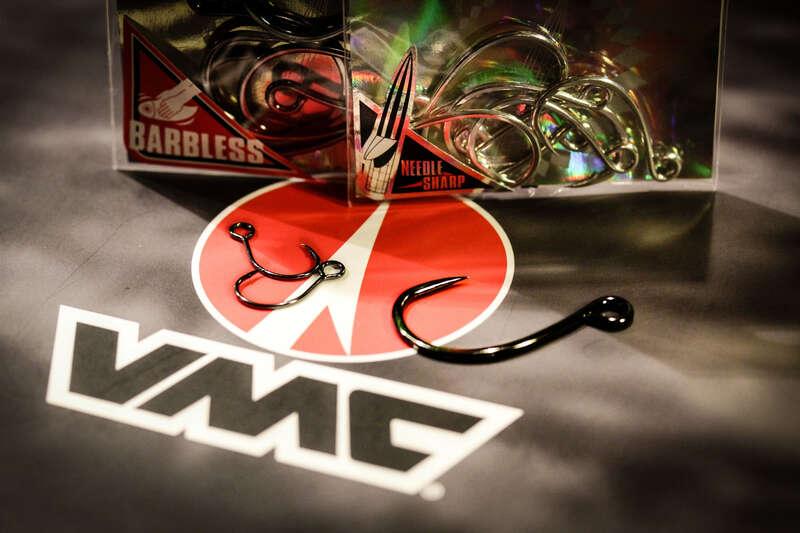 It is a great and sharp VMC hook that can be trusted to do its job. Single ball head jig hooks are of course a common hook type to be used in this kind of fishing. But what if we aim for the bigger predators? Well, when targeting bigger species, there’s no denying. Trebles would probably have the highest hook up rate. But also, in some cases they make the most damage to your catch. I would like you to test a single hook on that favorite lure of yours. VMC has the 7237 in-line hook, which in my opinion is an excellent option. Go Vertical With The Counter Strike! When trying your own way forward, there is a crucial part to consider when fishing with single and in-line single hooks: the counter strike. I am certain that many well-known anglers of course see this as an obvious thing to do, but maybe you are just getting started with your fishing and still exploring your tactics. So, make sure that when using a single or in-line single hook, the counter strike is done in a straight vertical direction to give you the highest hook up rate as possible. When using treble hooks, I often do my counterstrikes horizontally either to my left or right side. Then I prevent the fish making air jumps and shaking out my lure by holding the rod in a lower position as I fight it. When using singles hooks, I try to maintain as high rod tension as I can to prevent the hook from sliding back out. Always keep the line tight! That is essential when using hooks like this. The same method applies when using a weedless hook such as the VMC 7348WG Mystic Predator. That will give you leverage to cast your lure into areas of heavy vegetation to reach those tricky hiding fish. Remember, vertical counter strike will be your new best friend. The first step in deciding the hook size, would be matching your hook to the lure or bait you are planning to use. You don’t want a too big or to small hook for your lure - it will have an impact on on the way of how your fish hooks. Too small hook on a big lure will make the hook up rate drop. Too big hook on small lure is also something to avoid. It will not destroy the hook up rate - actually under some circumstances it can actually increase it for a while. But what it does, is that it effects the movement of the lure terminating the designed movement. You need a well-balanced lure to fish effectively and to believe in what you are doing. I´ll give you an example. The X-Rap® Peto is a hybrid lure from Rapala that comes equipped with the VMC® Coastal Black Treble Hooks. It is a well-balanced super sharp hook that works flawlessly together with he X-Rap® Peto. In this case I would not go for a smaller or bigger treble. If I needed to do adjustments, I would try an in-line single hook for the reasons I described earlier. Sparing the fish, easier unhooking… Sometimes even the local fishing regulations or competition rules ban trebles. I hope this helped you getting inspired! 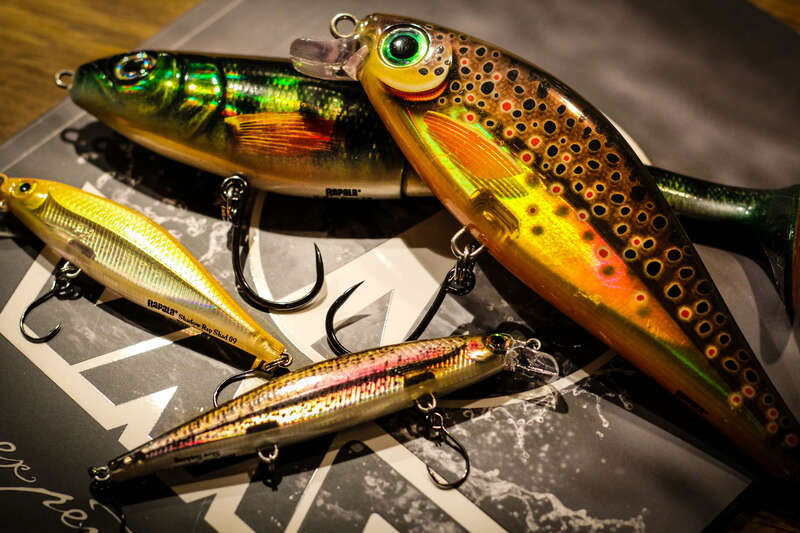 Try experimenting your way into new styles using different hooks and tactics on the waters.